Being a homeowner is a very hard task sometimes. It is always your responsibility to keep the environment clean and beautiful at all times. Trimming your trees can be one of the activities that can be done on your homestead to keep your environment beautiful. The problem arises in knowing when to trim your trees. The simplest and the most obvious ways of knowing the right time to do tree trimming is by the way the trees appear. Their appearance will help you greatly in determining the right time to do the trimming. Before listing the topmost benefits of having your trees trimmed, it is also nice understanding the different types of trimming. This is the removal of the small tree limbs just to improve its appearance and make it more appealing to your visitors. This involves heavy cutting to enhance the structure of the tree branches. This involves the removal of branches that may cause danger. Usually, branches having diameters that are more than 2 inches are cut. This involves removal of branches that may be of great danger especially during storms. It is more of the hazard trimming. It keeps your trees healthy. Tree trimming helps in the removal of damaged branches. Through this, branches that have diseases are also cut. This prevents the spread of diseases to other parts of the plant. Trimming of small unhealthy branches allows the growth of strong healthy branches that can overcome a healthy storm. Trimming helps in the addition of value to your environment. When trees grow, some branches tend to lie so low while others lie so high. This irregular growing of trees does not add any value to the appearance of the environment. Trimming trees regularly will help in maintaining a nice shape thus, making them look more appealing to the eye. Trimming your trees will help in detecting any diseases that may be eating up your tree. Through this early detection, you can report the diseases to a specialist for the early treatment to prevent the spread of the diseases. Depending on where trees grow in your compound, you will find it necessary and important to keep your trees trimmed. 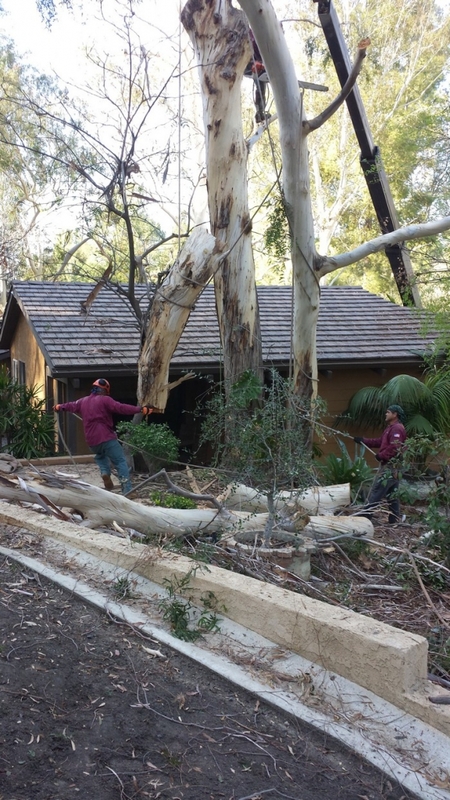 Trees may be located next to your garage or pool and this may lead to a great loss if not trimmed. Trimming trees will reduce the expenditure that you may have to make when damages are done. Trimming increases sun exposure and the circulation of air throughout the trees to the underlying trees. This helps in improving their health. Trimming trees can improve the production of the tree fruits. Both size and quantity will be increased. If you have any questions, call you local experts at Your Way Tree Service Inc!